In the feminist art movement of 1970’s Los Angeles, young mother artists came together to support the radical notion that being mothers and artists were not mutually exclusive. Thus Mother Art was born. Opposed by the established feminist art community and attacked by conservative politicians, including Ronald Reagan, they dealt with social and political topics that remain relevant today. This documentary chronicles the members of Mother Art though interviews, archival footage and photos from their performances and installations. 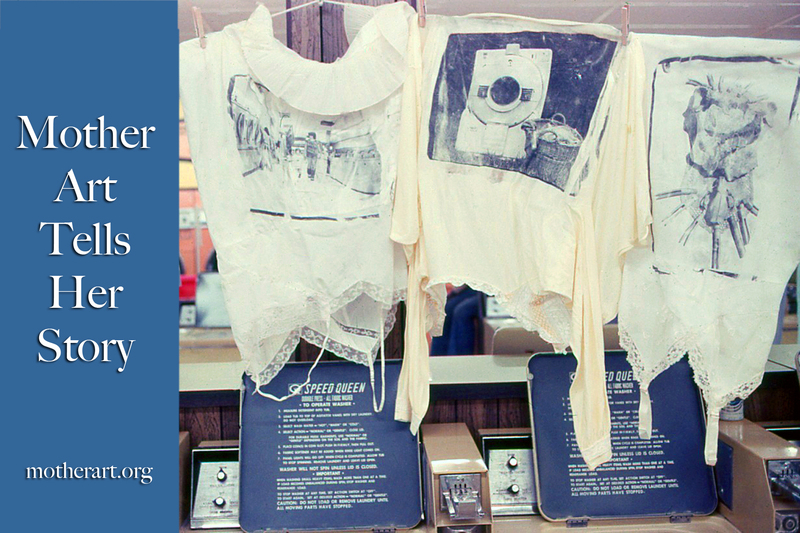 Mother Art created art in laundromats, cleansed the banks of greed and corruption, were kicked out of the Federal Building for ‘politically offensive’ art, and more. As feminist artists, they forged new territory by dealing with a range of social topics through art in public spaces. This engaging documentary recounts the history of Mother Art, a group of eight women artists who came together in Los Angeles in the ’70s and ’80s to explore political issues though art making. The group was formed in 1973 by four artist mothers who faced discrimination from within the Los Angeles feminist art community, which at that time was dominated by young women who believed that motherhood prevented women from fulfilling their full potential. In response, the group built a playground, curated exhibitions illustrating divergent views of motherhood and then began to work collaboratively in performance and installation. performances were funded by a small $700 grant from the California Arts Council, and in the wake of the 1978 passage of Proposition 13, which limited state revenue, conservative California politicians criticized Mother Art as an example of waste in government spending. Ronald Reagan singled out Mother Art for rebuke during one of his weekly radio programs, titled ‘Waste.’ Mother Art fought back by symbolically cleaning up the institutional corruption of banks and City Hall. They took mops and brooms to banks and scrubbed them clean as a metaphor for cleaning up the site of real waste and greed. They did the same at the iconic Los Angeles City Hall, using it as a symbol of government corruption. In the ’80s, Mother Art morphed into an even more political group, personalizing the social issues of the times by incorporating women’s narratives, both their own and those of others. They dealt with many important social issues, starting with abortion. Abortion was a hot topic due to the Ronald Reagan presidency. People were afraid he would nominate Supreme Court justices who might overturn Roe v. Wade. In response, Mother Art taped real women’s oral histories of illegal abortions that they had undergone. Mother Art used these taped stories as sound components for their performances and installations. Homelessness was another highly visible issue of those times. There was a marked increase of homeless women and children on the streets of Los Angeles. Mother Art interviewed and photographed women at a homeless shelter in order for these women to give voice to their own life experiences. Mother Art created an installation and photographic pieces using those images and stories. In the ’80’s, the Cold War arms race was in full tilt. Demonstrators worldwide protested the stockpiling of nuclear weapons. Mother Art created an installation, ‘L.A. Guernica’, based on Picasso’s ‘Guernica’, the world’s most famous anti-war painting. Mother Art put three- dimensional figures of women and children in front of a backdrop of the Los Angeles skyline, dominated by a nuclear mushroom cloud. This piece was part of an anti-nuclear arts festival in downtown Los Angeles. Mother Art also curated a show titled ‘Art for Peace,’ re-installing ‘L.A./Guernica,’ along with the work of several other artists, at the Los Angeles downtown Federal Building. Federal agencies in the building complained that this work was too disturbing. After a week, the show was censored and forced to close. Mother Art also dealt with immigration, a subject of personal concern since members had friends, relatives and students who had recently immigrated to the United States. The group obtained personal narratives from four women who had come to the U.S.A. escaping war in central America. Each woman’s story was used as inspiration for an assemblage. Throughout the period of members working together, they formed valuable friendships. They struggled with the process of working collectively and found that this process not only was important in itself, but gave them opportunities to expand the range of their individual art-making. The artists learned from each other and encouraged each other to try new forms and ideas. The video summarizes this history by allowing each artist to recount her own experience as a member of the group, and her involvement with the collaborative process. The 39 minute documentary provides insight into the 1970’s and 1980’s exploring issues that are as relevant today as they were then. The story is told in an inventive and creative manner. 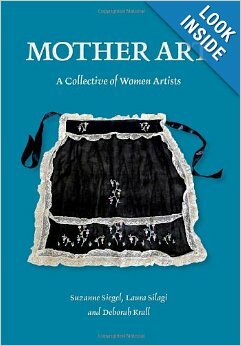 Mother Art delved into many serious topics, but in an engaging way, often with humor.